Texas is a huge state, and we are proud to represent all of it! From Houston and the gulf area, all the way up north to Lubbock and Amarillo, we are proud to cover all of Lone Star. Our areas of coverage include Houston, Dallas, Austin, San Antonio, Fort Worth, El Paso, Arlington, Corpus Christi, and Plano, but if you are in one of the outlying areas, please feel free to give us a call there as well. We look forward to working with you! If you are looking for an experienced tax relief company, then look no further than Instant Tax! We have an A+ Rating with the BBB, decades of combined experience in the tax relief industry, and 1,000’s of satisfied clients that now have freedom from their tax debt. Don’t waste your time with other companies who just spring up today and are gone tomorrow – go with the one you can trust, and other people can trust as well. If you have had issues in dealing with the IRS over time, then there is no better time than now to get free of your burden. Whether you just owe money in back taxes and penalties, haven’t filed your tax returns in years, or have had more severe actions done like wage garnishments or bank levies, then you need to deal with them before they continue to get worse. Whether the IRS has caught up with you yet or not, know that they won’t stop until they get with they are owed – at any cost. 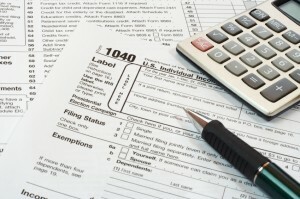 Our tax attorneys, registered agents and trained professionals are here to help. 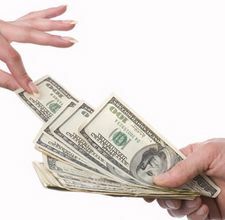 Do you owe a significant amount in back taxes the IRS? Have you phone on hard financial times and do not see a way out, or to payback the money you owe? There’re a number of programs available, that depending on your individual financial circumstances, may get you out of paying a large portion of what you owe. The IRS is most concerned about getting back at least some of the money they’re owed. So if they can get a small portion of it, instead of none of it, they will usually make a deal to be able to do that. The main program that we are talking about is an offer in compromise agreement. Not everyone will qualify for this program, but for the ones who do, they can avoid paying a large majority of the debt they have. Before you talk to the IRS about this, please contact an experienced tax professional so you can know if you qualify or not. If you go directly to the IRS, you may be giving up sensitive financial information that they can use against you, to say you owe more than you do. Have you neglected to file your tax returns for a number of years? Has the government started sending letters and notices because of these delinquent tax returns? Chances are if you have not filed for a number of years, they have added on a large amount of penalties and interest charges to the amount you owe. By filing your back tax returns that you have neglected to, you could potentially save 25 to 50%, from the removal of some of these penalties and interest charges. Our tax professionals know how to file these types of returns and deal with the IRS, so that you can avoid paying all these extra charges they have tacked on. Whether you have not filed for one year, or 30, we can help you right away. Do you owe a significant amount of money to the IRS? Have they started to take away your property, or parts of your paycheck to pay back the amount you owe? They have a number of ways of legally stealing your assets, and using them as payment for the amount you owe them. 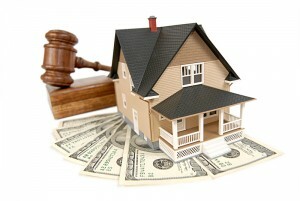 The first way they do this is through a method known as a tax lien. When they placed a tax lien on your property, they are actually taking legal ownership of that property, until you pay back the amount you owe. This can range from your home, cars, land and any other property you own. You will not be allowed to do anything with these properties such as sell them, refinance or lease them, until you pay back the IRS. 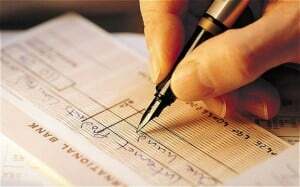 Another common method they use to get what they are owed, is known as a bank levy. This is when they can legally seize the money from your accounts (checking, savings, investment, etc), your home, vehicles, RVs, boats, and other property. Usually they will sell off these items, and keep the money as payment for your back tax debt. If you have had any of these placed on you, your business, or your family’s life, you need to act quickly to get these removed. Our tax professionals are standing by, and have dealt with tax liens and bank levies on a daily basis. We know how to get them removed quickly (usually within 24 to 48 hours), so you can move on with your life. If you owe enough in back taxes, the IRS may go to your workplace / employer (or whomever takes care of your payroll), and seize a portion of your wages before you ever get them. This is known as a wage garnishment, and can make up of 25% – 40% of your total paycheck. If your wages have been garnished, you’ll very quickly feel the tightness every single month, as you try to pay your normal monthly bills and expenses. You need to put a stop this quickly, so you can live your life as normal. Give our experts call right now, and we can walk you through the process of how we can remove your wage garnishment quickly (usually within 24 to 48 hours). If you owe a large amount of money to the IRS, chances are, they want you to pay it all at once (including the penalties and interest charges they have tacked on). For most people, this is an amount they could never afford to pay at once (especially if they a lot). They are programs available, that allow you to spread the amount that you owe, into manageable payments over time. This way, if you have an easy to follow plan to get you out of debt, and payments that you can afford along with your normal monthly expenses and bills. 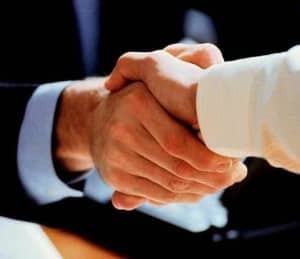 These agreements are known as installment agreements, and we can usually negotiate a favorable amount for clients, based on what they can individually afford. The IRS just wants to collect the amount they are owed, and will work with you to be able to get that back. So if you have a pile of IRS notices, and do not understand what they mean, give our expert to call today, and we can decipher them for you. Because we do this on a daily basis, we have seen every single type of notice the IRS has, and know the right ways of dealing with them. Stopping afraid of the IRS, and their complex legal speak. You can have a highly rated expert on your side, who knows how to fight and negotiate with them. If you have neglected to pay your back taxes for a number of years, chances are that you have had a large amount of penalties and interest charges added the amount you actually owe. With these additional fees, you could owe literally twice as much as you did before. Our firm of lawyers, CPAs and consultants are experts in getting these penalties and interest charges removed quickly. Quite often, just removing these can you you reduce the amount you owe by anywhere from 25% to 50%. Are you ready to finally have this burden lifted? If you have found yourself in a bit of a pinch, then it’s time to get help. We can battle the IRS for you, and we always come out on top. Unlike normal citizens, they don’t try and bully us around, because we’ve worked with them so many times for our clients. With thousands of happy clients served over the years, our reputation for high-quality service and customer satisfaction is at the very core of our business. In an industry tainted by negativity, scammers, and companies that continue to try and take people’s money, we have been a tried-and-true face in the industry for years, and the ratings to back it up. If you get stuck with back taxes you owe the government, don’t worry – you’re not alone. There are so many good people just like you out there who are in the same situation. Life happens, and things come up all of the time. In a situation where just a couple things go wrong, it’s easy for things to slide away and get out of control very quickly when it comes to money. That is why we don’t judge you at all when you call us. We know you are working hard to set things right, and everyone needs a hand sometimes. We try to make things as pleasant and easy as possible, because we know you have enough on your plate already.